Above is a close up photo of Vaejovis paysonensis This small Arizona Scorpion is found along the Mogollon Rim area of Northern Arizona. I have waited a long while to get this pic. This scorpion spends much of the year under the snow, even as late as May of 2008. 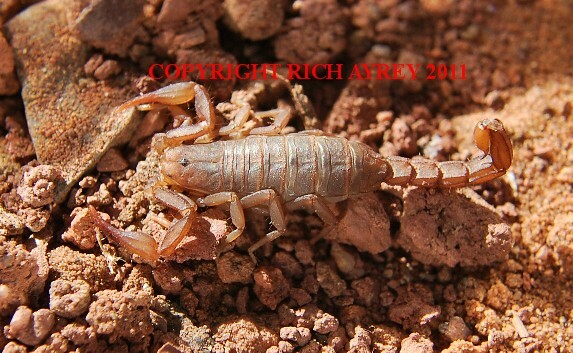 I am fortunate to have available pics of this species of Arizona Scorpions. Arizona Scorpion World created 06/19/01. This Flagstaff, Arizona Sky Island Scorpion page last updated 06/24/10.